In a promotion for its first production fuel-cell vehicle in Germany, Mercedes-Benz turned a B-Class hatchback invisible. Mercedes’ point was to show how the F-Cell hydrogen fuel cell powered car would be invisible to the environment, producing only water vapor and heat for emissions. Dozens of technicians have covered the whole car with LEDs. The camera on the other side of the car transmits the image to the LEDs, thus creating an invisibility effect. While on a tour in Germany the “invisible car”, has got a lot of stares. 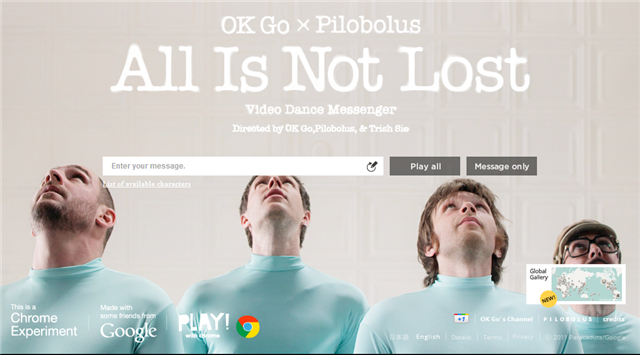 All Is Not Lost created by OK Go x Pilobolus is an amazing advertising campaign as a part of a Chrome Experiment series. This idea presents the possibilities of the Google Chrome and compatible with the new HTML5. Read the full article! You can write a word or a short message in the field and then watch a video dance message. We wrote our message here. The video is a mix of an interesting choreography and music that results as a message composed from human feet. The most interesting part is that you can add your message to the Global gallery and see what others had posted earlier. That highlights the global nature of Google. The project “All Is Not Lost” is truly creative and has no match. Cola, Fanta, Sprite – the three giants of soft drink industry. Everyone knows about them. The brand Fanta thought it could have a bit more of popularity so they came up with an idea of Orange Fanta Soda “Lift & Laugh” using hidden camera. These college students had no idea what they were in for when they stepped on the Fanta party elevator. Different special effects, free Fanta and in the end hundreds of plastic pellets to make the day. Watch the video to get amused! Fanta: “More Fanta, Less Serious. In celebration of 10 years of digital innovation, RalphLauren presents the ultimate fusion of art, fashion & technology in a visual feast for the 5 senses. If you’ve taken a look, you’ll know that it’s based around just a few of the amazing ways you can use a Nokia N8 – showing little glimpses of the kind of innovation that’s possible with Nokia devices. 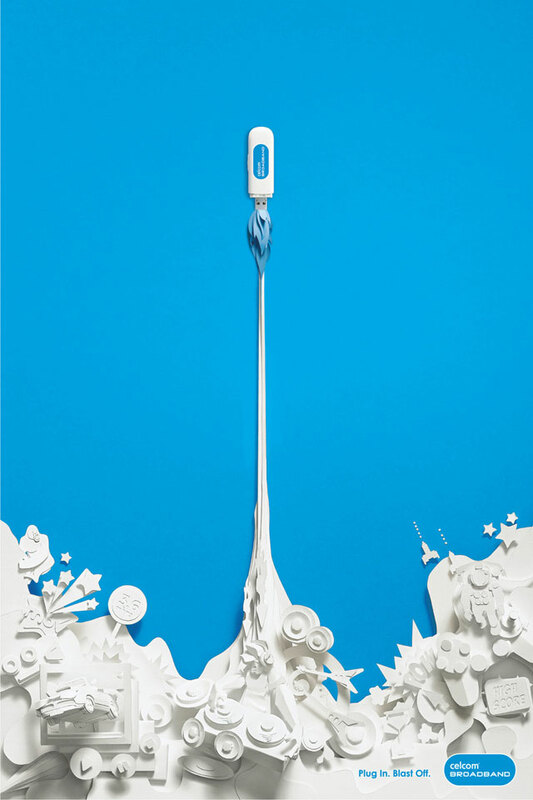 The advert is based around some of the more innovative ways you can use the device – and the hamster is definitely a great (if slightly more ‘out there’) example of that.